Wow, Descanso Gardens! I remember going there with my dad a few years ago. We found ourselves at this beautiful house in the middle of which sits this wonderfully characterful piano. 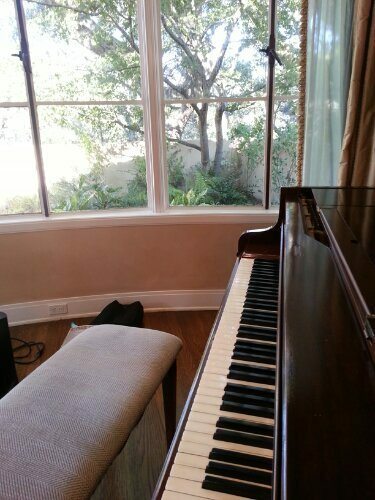 I decided right there I’d love to play that piano!! And recently when some very awesome people had thier wedding there and asked me to play for them well, my dream came true. That house is a beautiful venue perfect for a wedding. Very nice piano.